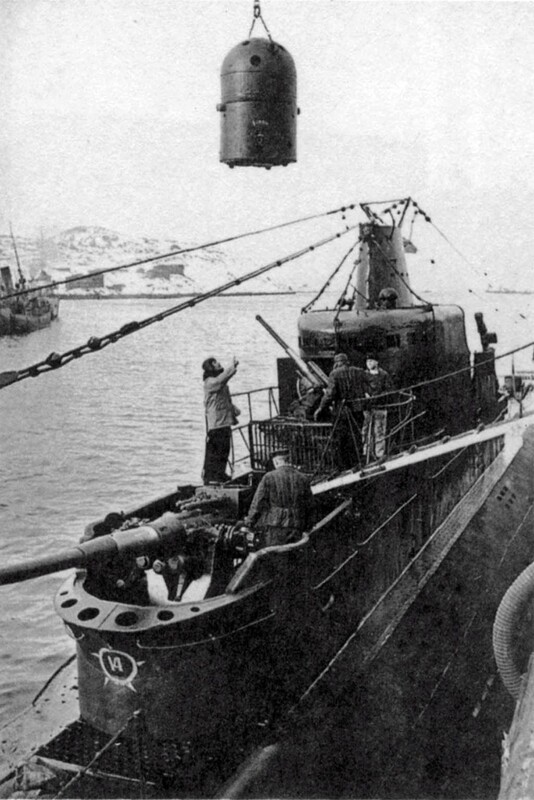 Loading of sea mines in the submarine of the Northern Fleet of the Soviet Union – K-21. The commander of Combat Part-II-III of the submarine, Captain-Lieutenant VLUzharovsky, is leading the loading of mines. On mines from K-21 a submarine in 1941 killed the German steamer Bessheim. In 1942, a UJ-1110 submarine hunter together with whom 46 crew members were killed. In 1943 – the German steamer “Duna” (former Latvian, the former Soviet steamer “Kandava”).